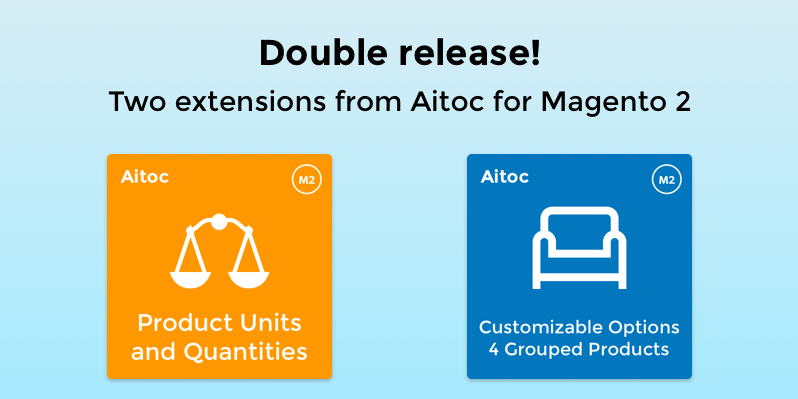 Product Units & Quantities and Customizable Options for Grouped Products for Magento 2 have arrived! What do you sell in your store? Cloth, beer, building materials or something else? It is unreal to sell all them in one quantity, isn’t it? The DIY store owner told a story about nine-inch nails TV cable selling. It was necessary for him to sell nails in the minimum amount of 100 items and TV cable in 5 meters. The craft beer shop faced with the problem, that beer can be sold in cans (0,33 liter), bottles (1 liter) or pints (0,5 liter). You see all bulks are different. The extension provides the customizable approach to measuring units and Qty fields. You can input any quantity and measuring unit, using individual settings for one particular product or general setting for all at once. So, you can input any numbers and measures. What problem do you face after the creation of grouped products in Magento? We can surely say, it will be restrictions on customizable options in grouped products which can limit store facilities and lead to drop in sales. But don’t be upset, Customizable Options for Grouped Products helps you. 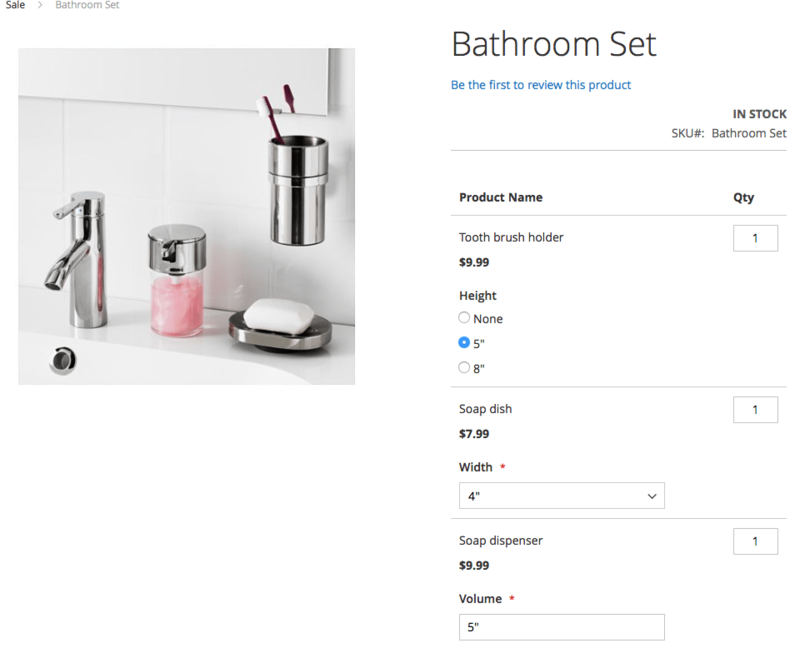 But Magento doesn’t show them and without customizable options, customers can’t buy the set or one product from it 🙁 What may you do in such case? You may install Customizable Options for Grouped Products and then miracle starts, all customizable options appear. Don’t forget, if you buy the extension, you also get free email support, 30-days money back and free updates for 6 months.